A UKIP candidate has posted a bizarre rant on his Facebook page – attacking mixed marriages and claiming that Europe faces “genocide”. It claimed: “Europeans are being taught to renounce their origin, their national identity”. 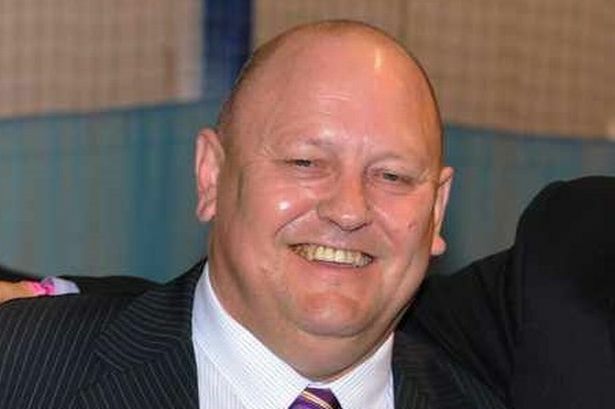 Mr Latham is standing for UKIP in a council by-election in Sandwell on July 9. He was also UKIP’s Parliamentary candidate for West Bromwich East in the general election. Genocide is a word usually used to describe the murder of people based on their race or ethnicity, such as organised Nazi murders of Jews and Gypsies or the murder of Tutsis in Rwanda in 1994. His post appears to have been an edited version of an essay which appeared on a far-right Italian-language website. It is an attack on Austrian politician Richard Nikolaus Eijiro, Count of Coudenhove-Kalergi, who wrote a book in 1923 setting out plans for a united Europe. He described himself as “a proud Englishman fighting for my freedom”. Mr Latham is standing for Newton ward. Last year UKIP launched an investigation after Mr Latham posted comments to Facebook claiming “Muslims have infiltrated the Labour Party”. However, the party decided to take no action after party leader Nigel Farage claimed to have “never heard of him”. The Post approached Mr Latham for a comment.